Just mere days after completing my first half marathon, I had signed up for my next one. 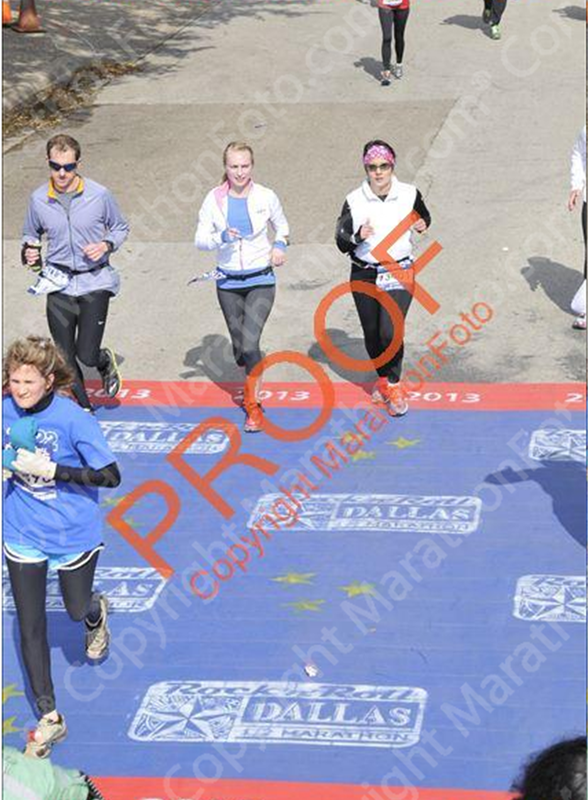 My legs were still sore and the pain I felt after finishing that race was still fresh in my mind. 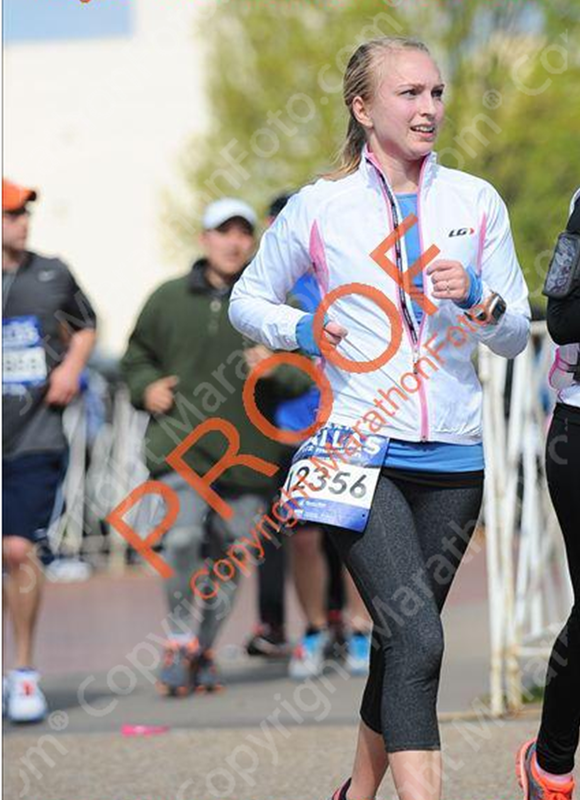 And yet, I coughed up the $85 and put the March 24th race on my calendar. 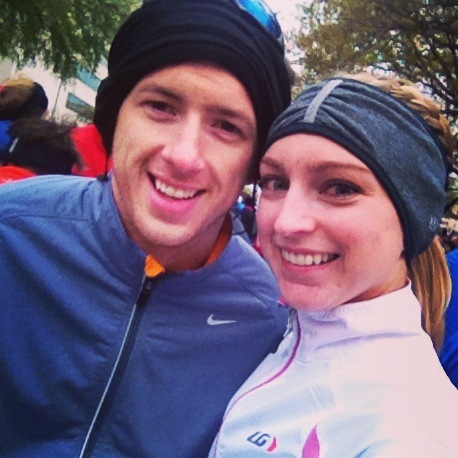 I took a LOT of time off between my last half in December and this recent race. The "off-season" got the best of me and I was very unfocused on training. When the days are short and the temps hit freezing, there's not a chance I make it outside for my runs. Let me just tell you, the treadmill is a poor substitute for pavement. Maybe it's just me, but I always feel very off balance on the treadmill. I also get very bored. I don't really listen to music when I run so I have to rely on the TV. As you can see, it can become a complicated situation for me, especially if the treadmill right in front of the TV is taken. I obsessively checked the weather all week. 40 degrees with 35 mph winds. Super. At least that sounded slightly better than the humid, 80 degrees I ran in for my last half. But let's cut to the chase here. There was something like 14 corrals and you better believe I was assigned corral 12. That meant we shivered in the cold for an extra 30 minutes or so. Oh and yes, "we" being me and C because he so graciously agreed to start with me. He's a keeper, that one. It wasn't until about mile 4 that I could finally feel my feet and legs. 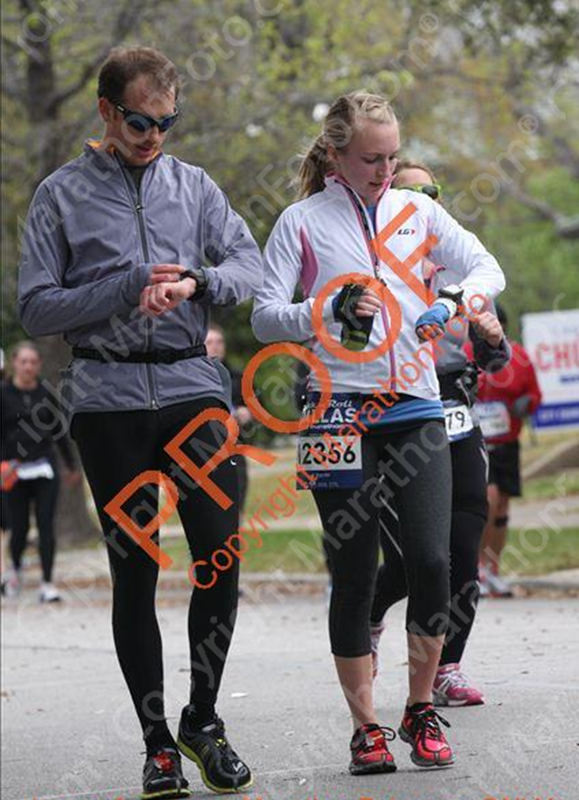 C was probably more miserable and thankfully agreed to run the whole race with me. It was fun having my own personal pacer. Overall, the course is scenic and relatively flat. I say that now, but I hated those hills when I was running them. The crowd and band support was great. I knew if I could get to the 15k mark by 1:45 that I'd be on track for a good time. C was committed to helping me reach my goal and pushed me the whole time. 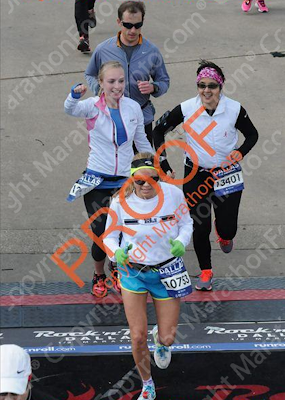 My teammate and friend, Nicole, caught up to us around mile 11 and I promptly informed her that I was not crossing that finish line without her. I was, afterall, running for her! 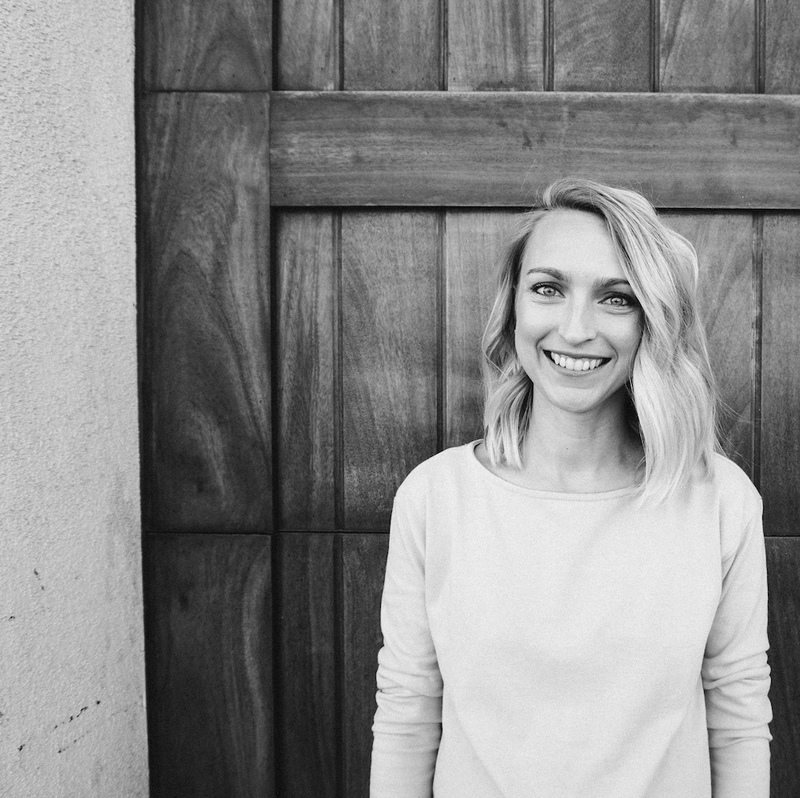 She's such an inspiration. Focus set in by mile 12. I knew, at that point, I was going to exceed my goal so it was just a matter of putting one foot in front of the other until I crossed the finish line. Why does the last 0.2 miles of a race feel so LONG!? On this course, you can't see the finish until you're about 100 feet away so you really have no idea when to kick. That lady photo bombed all of our awesome finish line pictures! UGH! 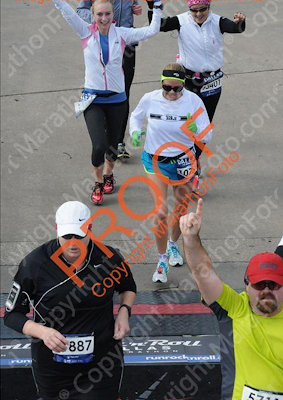 I crossed the finish line in 2:22, holding Nicole's hand, with C right behind me. The whole moment was pretty awesome. 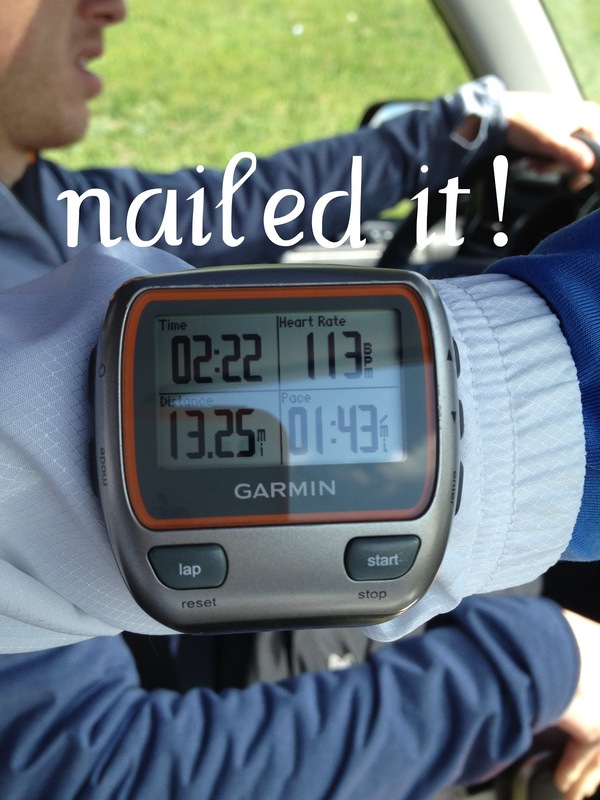 I didn't actually look at my watch for the last mile (as instructed by C) so it wasn't until he told me my time that I realized what I had accomplished. Y'all, that's a 17 minute PR! (Last half was 2:39).